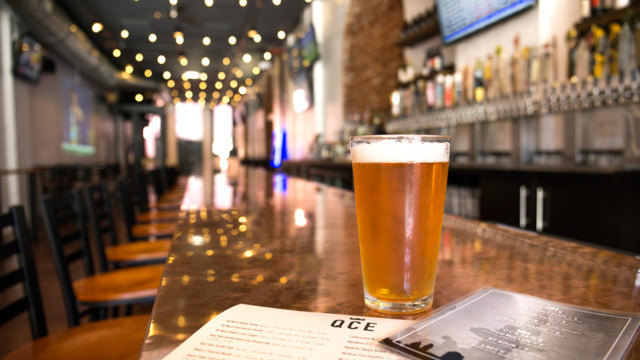 "Queen City Exchange is Cincinnati's first and only stock exchange-themed bar, featuring 41 beers on tap with prices that rise and fall depending on demand." "Invest some honest drinking time in Queen City Exchange. I’d be willing to bet my exorbitant hedge fund you’ll enjoy it." "There are few places where you’ll hear cheers when the market crashes, but Queen City Exchange is one of them."